A fantastic snapshot of life in the Jamaican record industry in roots reggae's golden year of 1977. 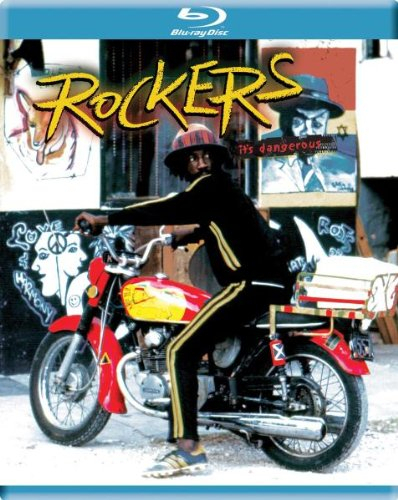 The fictional plot follows jobbing session drummer Leroy 'Horsemouth' Wallace (originator of the militant 'rockers' style of reggae drumming, playing himself) as he hustles for recording work and gigs, struggling to make ends meet on the Kingston streets. He also makes money on the side higgling records for legendary producers Joe Gibbs and Jack Ruby. On his travels he encounters many greats of the roots scene: The Heptones, The Abyssinians, Big Youth, Peter Tosh, The Mighty Diamonds, Gregory Isaacs, Leroy Smart, Robbie Shakespeare, Dillinger, Jacob Miller and Burning Spear all make appearances, several performing. When Horsemouth's prized motorbike gets stolen, cutting off his income as a record salesman, he uncovers an organised crime syndicate run by an unscrupulous uptown hotel owner. With his musical peers, he plots an audacious fightback. 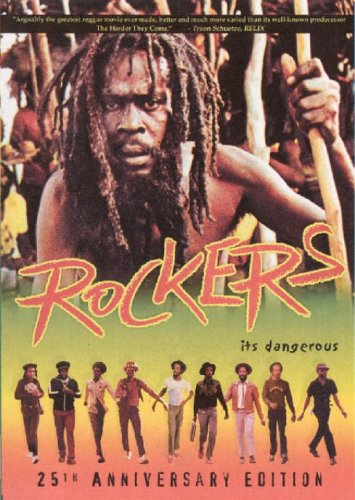 Featuring an incredible roster of JA musical talent, Rockers is an extraordinary document of the reggae scene of the time. But the occasional silliness of its crime caper-ish plot should not distract from its vivid depiction of 70s Kingston, and the socio-economic conditions which shaped roots music.